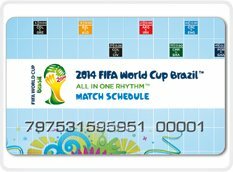 Digi-cards download cards will reach the hands of thousands of attendees to the soccer world cup during Brazil 2014. The Digi-cards will have the game schedule, maps and more content that will help as a guide during the event, official sponsors will also provide content helpful to the end users. Even though all this electronic content is available at FIFA website digi-cards download cards will provide a one place access and one click download for all the relevant information. Digi-cards have become an efficient replacement to other printed media and still provides a tangible product to the end user who can keep most of the information in their wallet and with easy access through Wi-fi. It is not the first time Digi-cards download cards have been used at sporting events, Digi-cards and Digi-passes have been used during NHL (National Hockey League) games in the United States and as Season Passes at International and National Soccer Leagues around the world. Digi-cards download cards allow individual access to multimedia content or any electronic files stored in secured servers. 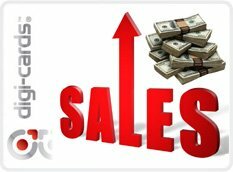 In a bold move to show how valuable Digi-cards are if used as a marketing tool, Vital Digital Global, parent company of Digi-cards has guaranteed an increase of sales of any product if Digi-cards are attached as added value or VDG will give you money back. In a direct pitch to corporations, manufacturers and product distributors worldwide, Digi-cards will guarantee an increase in sales of their products simply by adding Digi-cards to it, loaded with multimedia content, contests, coupons, etc. With this customer instant gratification, Digi-cards offers branding built on the theory that no one throws away a credit card so its visual impact will be long lasting. Digi-cards also offers something that most of the competition has not offered, and that is the ability to create an incredible database-building opportunity. Case studies have demonstrated the power of Digi-cards as a low cost marketing tool with high value product that will increase sales. For more information make sure you ask you account executive or contact corporate sales. Vital Digital Global, the parent company of Digi-cards and Digi-codes reported better year to year sales from 2012 to 2013 with a total gross sales increase of 19%. 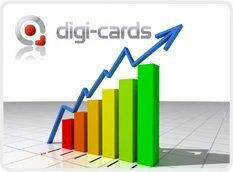 Gross sales of its Digi-cards product was helped by a total net increase in sales in its European Division and a small increase in LATAM, however sales in the USA stayed flat due to copy-cat competition that offers a lower quality product and service for less, attracting the smaller budget clients. Gerardo Alton Ortega CEO of the company said that "Due to the economic turmoil around the world, we are happy to be selling more and more every year and with the release of the new Digi-cards 5.0 this year, we expect to regain momentum in the lower end download cards market which will help sales in USA and Canada", he also added "We will also be releasing new products and we have a strong hold on the corporate market due to the quality of our product and service". Digi-cards are the world leading manufacturing and producer of multimedia download cards with presence and sales in over 60 countries during 2013. Vital Digital Global Corporation parent company of Digi-cards announced today that it will sponsor all qualified events starting May 1st of 2014 by allowing all event organizers to submit a simple form. The sponsorships will allow event organizers to raise from $500.00 USD to up to $100,000.00 USD depending on the size of the event and based on past attendance records. There will be three types of sponsorships: full sponsorship, co-sponsorship or partial sponsorship and the rules and regulations will be posted in May 2014 in a website dedicated to this program. All events that are related to multimedia or can distribute their own multimedia content during the event will qualify. Events as big as sports games to music concerts or as small as church fundraising events to art exhibitions can participate. 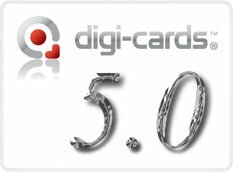 Digi-cards will launch its latest version, 5.0 of the now world renowned Digi-cards download cards. This new version will be more efficient for the end-user, and will be also more versatile. Keeping his “cards” close to the vest, CEO Gerardo Alton-Ortega explained during a conference call that Digi-cards 5.0 will have faster download times due to adjustments in the system and content delivery networks, as well as more efficient upgrades to the hardware in the mainframe data center. Digi-cards will be even more secure and will continue to offer the same space as the older 4.0 version, due to the compression capabilities now allow more content in less space. He also said the cost of production will be less therefor Digi-cards will be able to pass savings through to the clients, with all the same perks clients have been accustomed to. "We expect, again, to set a precedent to all copycats out there". It was not announced if the awaited content data encryption will be available in this new Digi-cards 5.0 version. 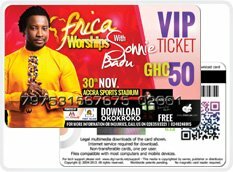 Digi-cards introduces Digi-passes, the most innovative, anti-counterfeit and efficient tickets in the world. No matter what the event is: Sports, concerts, galas, conventions, private events, etc. Digi-passes offer the end-user many more options than common paper-based tickets. Utilizing its programmable magstripe and variable barcode, Digi-passes can adapt to any ticketing system. Equipped with an anti-counterfeit system, Digi-passes will ensure the person attending the event is the person that was intended to go, a common issue in many countries. The surprisingly low cost of each Digi-pass will definitely please our clients as well as its ability to utilize the passes as an efficient tool to distribute sponsored contents/contests that can collect end-user data and demographics, all in one credit card size ticket. For more information please contact your Digi-cards distributor at www.digi-cards.com. Gerardo Alton-Ortega says the future of physical “information distribution” is in the cards, Digi-cards that is. During a recent magazine interview, the Mexican technology businessman said he wants to help you get to know how it all got started. 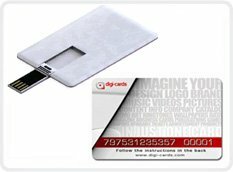 Digi-cards, the leading global producer of multimedia download cards, insists that in many ways, there is nothing more efficient out there than the PVC cards and system Digi-cards uses. Read the whole article on our Digi-cards blog. 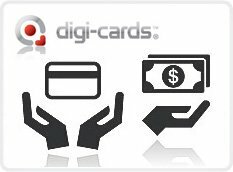 Digi-cards download cards is now present in over 50 countries around the world and accepting payment transactions in more than 16 currencies. The global expansion of Digi-cards is not due until 2014, but Gerardo Alton-Ortega, CEO of Vital Digital Global, the parent company of Digi-cards, is already planning for the future and has made the decision to give the cryptocurrency a chance. Digi-cards is a B2B company whose orders range from 500 Digi-cards for musicians and bands to a million-plus card orders from corporate and brand giants. "There are companies that would not ordinarily pay us with bitcoins and most of our suppliers do not accept them either, but this is now, and we cannot predict the future. Digi-cards is a technology company, and we will always move forward with innovation. We do not want to get into the debate about the bitcoin future, we just want to give clients a chance to use the bitcoins if they choose to pay Digi-cards orders with them" said Gerardo Alton-Ortega, during a conference call. 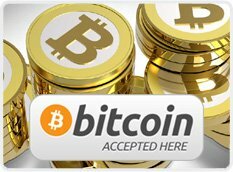 Digi-cards download cards is making arrangements with bitcoin merchant services to start accepting bitcoins as early as September of this year. For those tech savvy couples that are planning their weddings, there is a new kid in town: Digi-cards. Technology has come a long way and now it is getting involved in one of the oldest, most sacred ceremonies: weddings. This innovative idea is actually becoming very popular. By sending the information privately via Digi-cards, the end-users are assured privacy and all guests would be very interactively informed of everything that is planned. End-users and guests will be able to download photos or driving instructions to their mobile phones, so no excuses about being tardy or getting lost. Also, the instant RSVP beats Facebook events "Going". One of the nicest things about Digi-cards is that each guest will be able to download all the official videos and photos of the event without waiting for the mail or searching the internet for them. 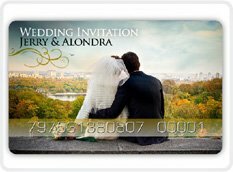 Your guests can even share photos with others, instantly; and the cherry on the top on the wedding cake: your customize-able Digi-card wedding invitation might just stay forever in the purse or wallet of your guests, reminding them of the perpetual love that the bridal couple share and wonderful time they had at the wedding. When was the last time you held on to a wedding invitation for more than 1 hour? For more information, visit www.digi-cards.com or contact your account executive. Costs are clear, a customizable shape and message front, Digi-cards download cards are much less expensive than a custom USB memory stick, so if cost is an issue, you would fare better using Digi-cards. USB memory sticks do not need internet access like Digi-cards, but most anyone with a PC has internet these days; USB memory sticks do not work with mobile devices, the end-user would need an extra adaptor, an extra expense. Digi-cards work with most all mobile devices, almost 1 billion of them; USB memory sticks will not let you know who, when, or even where the end-user accesses the information, Digi-cards will and will even give you much more information, your personalized project with up to 100 responses to your personalized questions; Once you upload the information on your USB memory sticks, if there is a change you would need to reprogram each, with Digi-cards you can actually update information after you have distributed the Digi-cards, via the internet. There are many more benefits out there but we do not want to make this long, we think we have proven our point. 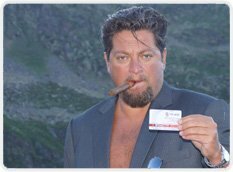 One thing is for certain, Digi-cards will always have the information you want to share and a USB memory stick will not. For more about Digi-cards download cards, visit www.digi-cards.com.